Get Your Rental Deposit Back! Moving before your lease ends? Leases can seriously complicate any move. It’s one thing to have to pay for and plan a move; it’s an entirely different thing to do that with five months of rent left on your lease totaling $5,000. First things first: a lease is a legal contract. You can’t simply tear it up an be done with it. When you sign a lease, you agree to stay in a rental unit for a particular amount of time (usually a year) and for a particular price. You are legally bound to these terms. If you decide to leave early, you must pay for the remaining time (with some exceptions, discussed below). If you do not, you are considered in “breach” of the lease, and your landlord can keep your rental deposit and sue you for unpaid rent. If you are confused about the terms of your lease, or if you don’t have one, consult an attorney or your local renter’s association. There is no trick to getting out of a lease. If the lease is legitimate, it’s going to be enforceable against you. However, there are some ways to argue for release from the lease, to pass the responsibility, or to lessen the blow of your breach. The first step to getting out of a lease is always to notify your landlord IN WRITING that you intend to move out and when. Upon notification, your landlord is required to start looking for a new tenant. If you don’t tell your landlord that you’ll be moving out, then your landlord is under no obligation to find someone else. Negotiate – Hopefully your landlord is a decent man/woman who will be willing to work with you. Perhaps they’ll say “don’t worry about it.” In my case, when I had to move out a month early, my landlord and I agreed that I’d pay 1/2 a month. See what they’re willing to do. Quiet Enjoyment – If you’re moving out because your place is terrible, then you might be able to argue that you were “constructively evicted.” Essentially, this means that your landlord did not prevent problems with the unit, ruining it for you. You need to have notified your landlord of the problems. Consult with an attorney about this, because it is a complex legal issue. Habitability – Landlords must provide habitable rentals in most states. This means the unit can’t be leaking from the roof, smelling of sewage, or running with roaches. If your unit is in bad shape, consult and attorney and get out of your lease. Sublease – Subleases are agreements in which another person agrees to pay you to live in your apartment. Some leases don’t allow subleases. Consult your landlord before agreeing to a sublease. Also, make sure the person subleasing is trustworthy, because you’ll still be on the hook for rent if they don’t pay. Assignment – An assignment is like a sublease, except is absolves you of your obligation to pay rent. So, you and your landlord agree that a new person will take over your duty to pay rent. You might still be held accountable for other provisions under the lease, such as damages to the unit, however. Duty to Find New Renter – As mentioned, your landlord must look for a new renter once you notify him/her that you are moving out early. A landlord can’t just sit back and let your apartment sit vacant and charge you the rent. Now, a landlord need not roam the streets looking for someone new. If you want to increase the chances that your unit is filled, you should do that — try to find someone who needs a place and tell them to contact your landlord. DISCLAIMER – If you’re confused about any of these issues, or if you think that you shouldn’t have to pay the remaining lease for one reason or another, contact a local attorney or your renter’s association for advice. 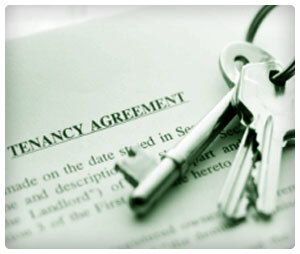 Landlord/tenant law is complex, varies by state, and often requires expertise.